I’ll put these in terms of movements: from what the Protestant Orthodox folk stressed in their teachings, to what the Pietist folk stressed. The Protestant Orthodox folks (also known as Protestant “scholastics”–the people working in the mode of Philip Melanchthon to systematize Reformation theology) tended to see the church as having been put on earth to cultivate true belief. The Pietists emphasized the translation of this belief into the ordinary structures of daily life. Not that believing is unimportant. They shared with the Orthodox the notion that if you got the theory wrong you would get the practice wrong. BUT what is important is that your theology becomes immediately embodied in life. The Orthodox defined church as a community that not only defines but assents to truth. But the Pietists wanted to stress what also the Orthodox also taught: that assent is not enough, because even the devils assent. The Christian must further embody belief in a trust that risks one’s life on God’s promises. So it’s not just a question of understanding correctly or being free from error. That must result in the soul’s trust in the providential God who immediately guides me in the unfolding of my life. The Orthodox stressed the institutional church: what constitutes the church as a body of believers is that the gospel is preached and the sacraments administered. That is provided in any Christian state by the government itself. But this is never enough for the Pietists. They were not happy going to church just once on Sunday. They wanted to go more. So they were into small, spiritually-nurturing groups, called not ecclesia (the church) but ecclesiolae (little churches). They did NOT found the First Pietist Lutheran church. They still went to church, but on top of this, they attended these small groups. For sacraments, proclamation of word, they went to ecclesia, but for reinforcement of doctrine in spiritual nurture of small groups, they went to Ecclesiolae. Because they were interested in life and practice more than in continually redefining doctrine, the Pietsts were less concerned about philosophy than the Orthodox. They agreed that it is good to witness to Christ without contradicting yourself, as the Protestant Orthodox had said. So one did need philosophy. But they wanted more. And so they invented a new theological discipline—church history. Not in the sense that there were no histories written before the Pietists. But they invented it as a discipline incorporated in the theological disciplines. They discovered that once you got out of the theological books and saw how those theories were applied, it gave you a new angle on theology. They wanted EXAMPLES. 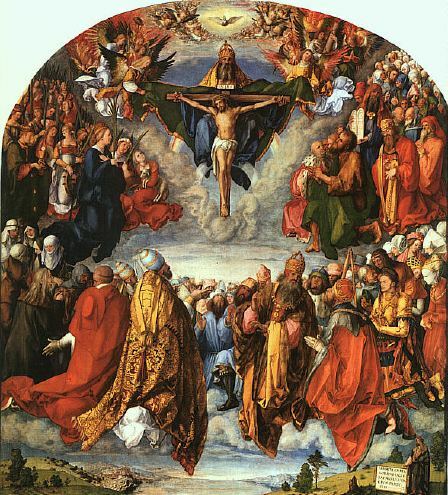 The Protestants, following Luther’s example, had thrown out the saints. They had left only Jesus, Mary (the former is divine and the latter appears only a half dozen times in the Bible. And in Acts a few times). In the middle ages people drew inspiration from figures like Antony of Egypt, Saint Francis of Assisi, and Saint Clare.… People who were just human beings, but were so taken by grace, so transparent to God, that extraordinary things happened in their lives. Their lives showed you that the kind of life you are currently living is not the only possible kind. There is a luminous possibility for you. So, the Pietists were hungry for such exemplary figures, to replace the old Catholic saints. They liked to write biographies of exemplary people. This hunger for history, biography also affects the way that Pietists read the Bible: not only as a manual of doctrine, but as stories of human beings, and their struggle for faith and to live in God. And so the Bible became itself a series of exemplary tales. They showed you, as you read, how hard it was for the saints to be saintly—yet also that through grace, they could overcome. Take the penitential psalms, for example, the ones by David: you had read David’s story! You knew his background, his sins and failings—so then those psalms would take on a new resonance—they were coming from life, not laying flat on the pages of these ancient, irrelevant documents, floating in a vacuum, abstracted from life. The Protestant Orthodox folks laid great stress on justification by faith alone. They understood justification as the imputing of Christ’s righteousness to me, so that I can stand in the presence of the justice and wrath of God, clad not in my own but another’s righteousness. The Pietists are very uneasy with imputation. They want to see change. A drunk righteous man, justified by faith alone, is troubling to the Pietists. Or a justified adulterer (currently cheating on wife). So Pietists wanted to stress New Birth—not just imputation, but but LIFE, from a new birth followed by a sanctified life, in which you are actively pursuing holiness. So Pietists were not happy if your salvation looks too abstract, and if in fact your righteousness is all hypothetical and theoretical. Because if you walk like a duck and quack like a duck, you may be a duck, and not what you think you have been imputed to be. So not to DENY justification by faith alone, but adding this experiential side of new birth, sanctification. They want to have it, and to see it. (4) the need to see the church reformed—that is, pulled out of its cultural and theological “ruts” to better live and spread the gospel. (3) lay engagement in spiritual disciplines, and indeed, in . . .
(5) a heart religion with a social conscience. Their works of mercy, including inner-city ministries, orphanages, and hospitals, gave public form to their devotion. (6) insisted that Protestant seminaries institute programs of spiritual formation. They didn’t use that modern catchphrase, of course. But Spener argued in his book Pia Desideria that spiritual formation stands with careful biblical scholarship and lively theological study as a pillar of seminary education. And that was centuries before today’s initiatives in “holistic” or “integrative” ministerial training! This entry was posted in Resources for Radical Living and tagged Philip Spener, Pietism, Protestant Orthodox, sanctification, Spirituality. Bookmark the permalink.